Exfoliate and moisturize with these amazing homemade body scrub recipes. This DIY body scrub is great to use at home and makes a nice gift for any occasion. I give a Basic Homemade Body Scrub recipe and a few creative ideas for making several types of DIY body scrub. 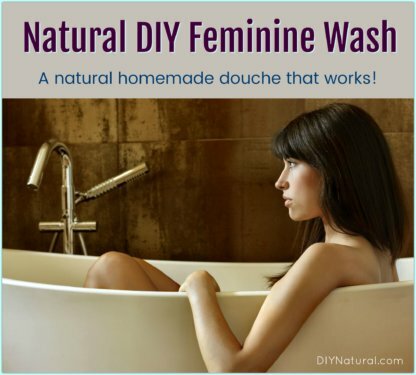 Why Make a DIY Body Scrub? The DIY monster in me came alive again last week so I developed a recipe for making my own pumpkin spice sugar scrub. To illustrate, I remember purchasing a similar body scrub for my sister a few years ago that was priced between $15-$20! And that is a lot of money for something you can make at home for far less. In contrast, my mom was the lucky recipient of the fabulous pumpkin spice homemade body scrub that cost less than $1 to make. And she loved the smell along with the way it made her skin feel. Commercial body scrubs used to use microbeads until Congress banned them in the Microbead-Free Waters Act of 2015. Microbeads are tiny pieces of plastic found in many health and beauty products, including soap and body scrubs. Congress passed this law to address concerns about microbeads in the water supply. Microbeads are just one example of unnecessary ingredients in commercial body scrubs. And because making our own is so simple and inexpensive, it just makes sense. With cold weather approaching this moisturizing and exfoliating scrub will make a killer gift this winter. 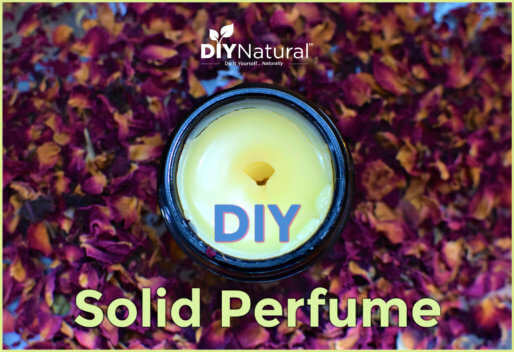 It was so simple that I began to experiment using different sugars, Epsom salt, a variety of carrier oils, and essential oils. Feel free to get creative and fancy when making these scrubs; here is the basic recipe I used to make a few batches. 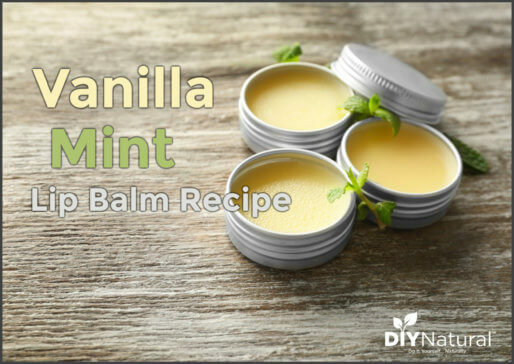 Use vanilla essential oil -OR- 2 Tbsp. vanilla extract. Use lemon essential oil and add 1 Tbsp of lemon zest. Use grapefruit essential oil and 1 Tbsp of grapefruit zest. I can’t wait to make several more batches and experiment with some more scents including peppermint, lemon-eucalyptus, and sweet orange-lavender. I also love being able to use different sugars or Epsom salts – mainly because I had a huge bag of Epsom salts under the bathroom sink that was not getting used. (My organic cane sugar is not cheap!) Choose sugar for fine grain homemade body scrub, and Epsom salts for a larger grain scrub. My mom received one of these as a “just because” gift. I was also able to give two body scrubs as birthday gifts this week, and another as a housewarming gift! I think these luxurious body scrubs will make the PERFECT holiday gift for friends and family. They are so simple to throw together. And they make a beautiful addition to a gift basket and are great as a stand-alone gift. Give hand scrubs to kept by the kitchen sink or a pampering homemade body scrub to use in the bathtub. Mix up a few of these this holiday season to give away as last minute I-didn’t-know-you-were-getting-me-something gifts. You will look ultra-prepared, crafty, AND thoughtful! Have you ever made a homemade body scrub? How did you like it? The Microbead-Free Waters Act: FAQs. November 2017. U.S. Food & Drug Administration. Is Coconut oil a choice for making sugar scrubs? Not only does your body scrub sound like a great gift for gardeners, but for the mechanic as well! My husband buys something in an orange plastic jug to scrub oil, grease, and vehicle fluids and goop. This has to be safer, cheaper and do the job. For sure! Add sweet orange essential oil for de-greasing power! Can you mix Epsom salt with sugar in a batch? Mine pumpkin spice smelled great before I added safflower oil……. how can I freshen it before I give it away?? Hmmm…was the oil rancid, or just too overpowering? I wonder if a little baking soda would absorb some of the scent. You may even try adding more scent. Something complimentary like vanilla, or even a little cocoa powder. Just some ideas…not sure what the outcome will be though. Let me know if you figure anything out! How much does the basic recipe make? About 2 cups. Just add enough oil until all the sugar or salt is moistened. Where is the best place to purchase the almond oil & the essential oils?? Follow this link for almond oil, and this link for essential oils. Blessings. I am still new and learning every day! I just made my first batch. I made a half batch since it’s the first one. I used EVOO and put 4 drops of lavender and just barely over a teaspoon of home made vanilla extract. I may play with it after letting it ‘sit’ overnight. The smell is fine, but could be kicked up. I realize the olive oil contributes to that too. I used it on a very rough elbow to test it. Nice! Left a little of the dead skin, but it was in really bad shape, so I am pleased. You talked about using lemon and some other citrus oils. What are your thoughts around phototoxicity? I found this article and wondered how you felt about it. It sounds like you haven’t had any issues so far. Yes, citrus oils are phototoxic, meaning they can make skin more sensitive when exposed to sunlight. However, when used in a body scrub, things are getting rinsed or even washed with soap after use, so the oils are not remaining on the skin. Essential oils usually need anywhere from 30-90 minutes to be fully absorbed into the skin. If you’re still worried about it you can easily avoid using citrus oils and replace with any other oils you like. Thanks for bringing this up! I was reading through everyone’s questions and I wish i had before making my small batches…however, I just wanted some clarifications regarding shell life for these scrubs? I used grapeseed oil in the first batch, olive oil in the second. I did’t add any vitamin E or Rosemary E.O., and I’m hoping to give these as gifts for the holiday season (roughly 7 weeks away). Should I refregirate them? Or are they good until then? It’s hard to give an exact shelf life for these scrubs since there are so many different combinations of ingredients you could use. However, in my experience they last at least several months. The good news is that you have plenty of time to add Vitamin E oil to the batches you already mixed up if you want. Refrigeration will also extend shelf life. how about a facial scrub? i’m using mary kay’s microderm stuff, but would love to make my own…would sugar be too rough to use? For a facial scrub, I just put a little cornmeal on a wet wash cloth and go over my face, Rinse and then put Moringa oil on my face. Mary Kay Microderm is too abrasive for my skin. How about using coconut oil? Would that be too thick or something? I just love coconut oil and use it a lot for my skin. I plan to make a peppermint and rosemary sugar scrub. I will be making these as gifts and would like to know what base oil and sugar to use so they will last. I don’t want the sugar to dissolve. Great site and thank you for the info! The trick is to make small batches for gifts. A little goes a long way, and they will go bad over time. I think olive oil has the longest shelf life (1-2 years), but can be overpowering in some mixtures. Brown sugar is good for its larger granules. Consider using a natural preservative to extend shelf life…a little Vitamin E oil or rosemary essential oil will preserve, but not indefinitely. All I had on hand was canola oil, so I thought I’d give it a try. I used the oil, brown sugar and pumpkin pie spices. I ended up smelling like salad dressing! Was that due to the canola oil? Would I have better results with a different oil? Do you use this scrub everyday? @Angela, I will have to give that one a try, it sounds yummy! I just LOVE the simple way you broke down the ways to make body scrubs. My absolute favorite creation is brown sugar, coffee grounds with vanilla and orange essential oils! I will be making lots of these special little gifts for Valentine’s Day for all my girlfriends. Love it! I made the scrub with Olive Oil and Clove oil. Smells amazing and leaves my skin exfoliated and conditioned with the olive oil. =) Thanks!!! I can’t wait to make some all pretty-ed up as gifts! I love the Brown Sugar Pumpkin Spice scrub, I added a twist to mine and added some fresh coffee grounds. It smells great and I even use it for shampoo! I just have to rinse well! Thank you so much for these recipes. I have been having so much fun making and sharing them. I made a Lemon Ginger sugar scrub and it was a big hit with my friends! Interesting stuff, It’s fab to stumble upon a helpful site Such as this. Cheers. How did you do the lemon salt scrub?! Was it with real lemon juice?! I am in need of some last minute gift ideas including a hostess gift for a Christmas dinner coming up, and I must say this is PeRFECT! So simple yet looks very indulgent – I plan on keeping some just for myself. I LOVE pumpkin! I was wondering if you have a website that sells some of the ingredients for cheap? Like the essential oils, citric acid, etc. THANKS! Hi Jenn, we put together a DIY Natural Starter Kit for essential oils, you can find that here – http://www.newdirectionsaromatics.com/diy-natural-starter-kit-p-2084.html. You can buy citric acid from Amazon.com. What a fantastic idea!!! I took your advice and made a few different batches. My favorite was orange jasmine salt scrub. I even grated up some fresh orange peel and added it to the mix for a pop of orange (along with the orange E.O.). Thanks so much for the recipe. My friends and family will be excited to receive these as gifts this holiday season! The shelf life of these scrubs depends on the base oil you use, but most will last about 1 year. 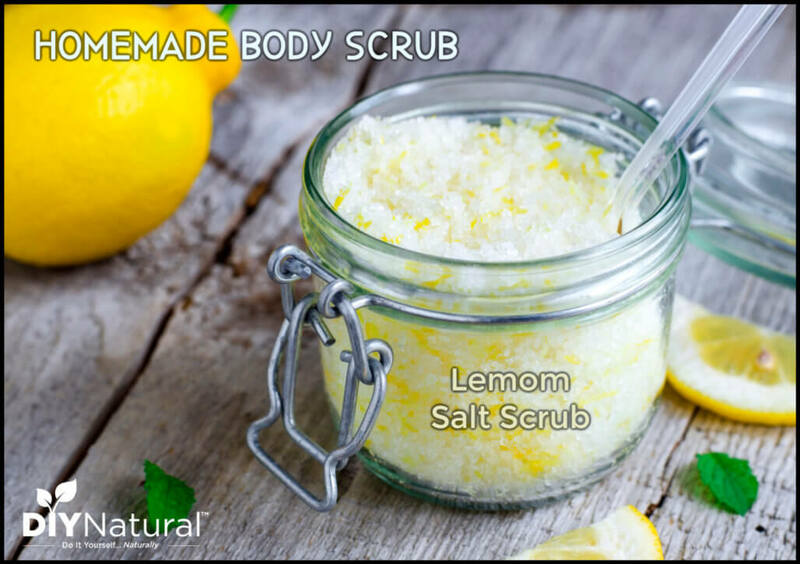 The lemon scrub is Epsom salts, olive oil, and you can use a few tablespoons of lemon juice or several drops of lemon essential oil to your liking. thanks 🙂 I can’t wait to make a large variety! I bought epsom salts a few years back thinking I could make my own scrubs and never did anything about it…I’m so glad you posted this…now I can FINALLY use them! Perfect timing too! thank you guys! I made my first body scrub today from this recipe – fantastic! I’ll never buy store-bought again! I used a Cherry Cobbler scented oil for one and vanilla extract for the other. Smells good enough to eat! also salt is better for skin conditions, use w/ glycerine (instead of other oil) to clear up excema or flaky skin conditions. if you are going to use it on your face, though, i would suggest running it through your blender/bullet & then make sure to let it soak a bit before using it, so the edges of the salt (or sugar) get softened. I use a blend of salts-hawaiian & himalayan are particularly good for many skin conditions, but expensive, so i mix it w/ epson & reg sea salt. looks pretty to have all the different shapes & sizes of granules too-if it’s all purpose-can leave em big & small & w/ sugar too! brown sugar is mild! but also strong smelling, so i only use that w/ scents like vanilla, sandalwood or pineys-cypress, etc.. also sugar is better for preshave skin prep. so i pick salt/sugar more based on scrubs purpose & make the shape fit! I’ve been using the brown sugar/olive oil mix for years, but I never thought of adding scents to it! So simple, and such a great idea! I will add, as a warning to those trying this for the first time, PLEASE use some type of non-slip stickies in your shower and give the tub a quick scrub after using these oil based products. They tend to leave a film on the bottom of the tub, and I’ve nearly slipped. Better safe than sorry! Great tip Jenn, you rock. Can’t wait to try these. Another great article, thank you. I’ve enjoyed making my own scrubs for awhile and have also used a few drops of my favorite perfume in mine. I prefer the safety of plastic tubs with screw lids in the shower. My local health food store sells new empty ones at fairly reasonable prices and they’re repurposable. the jars i collected are glass polar fruit jars 10oz. i spray painted the lid. They will probably work great! I love all of your articles! I have been a stay at home mom for a few years now and I love doing homemade crafts! I have been so busy with my children that I haven’t had any passion or inspiration to do anything creative… until now! Many of your ideas are so perfect for my busy schedule. I have been collecting our glass fruit jars for a long time, and was wondering what I could do with them… A few weeks ago I made homemade laundry detergent! (thanks to your husbands article). It is so wonderful and now I am going to try and make this homemade body scrub! It seems so simple! I can’t wait! Thanks for all the really great-easy homemade ideas! Looks like another great idea. Where do you get those jars? We made our own vanilla that I want to share but don’t know where to get bottles for that either. I always save any glass containers instead of recycling them. I can always find some use for them. The jar I used for the Lemon Salt Scrub actually used to sit on my desk at my last job…I used to keep paper clips in it! 🙂 My husband ordered brown glass 4 oz. jars for vanilla from specialtybottle.com. They worked perfectly for gifts!